If we're arguing the pros and cons of capitalism and copyright systems, rather than free-licensed games in the OpenMW engine, maybe this should be moved to Off-Topic? I'm actually working on a libre OpenMW game called Greylock. Post apocalyptic sci-fi inspired by Morrowind and Deus Ex. I'll show it off later this week! Been working on it since about September 2017, have my second pre-alpha demo coming out soon (self-imposed deadline end of this month). Will post more info later. Wow, can't wait to see it Please share it as soon as you can, a lot of people will want to help out, me including. Next week I'm hoping to release a build with 1 short quest, and some basic systems to play with (throwable explosives, basic AI system, climbing system, fire system). I've got all that working now, just need some final finishing touches and need to package up a redist version. Thank you! It's definitely something to start with - all of these assets will have to be replaced with free ones anyway. I could help with looking them up and editing them. I have some personal collections of models at opengameart and BlendSwap. 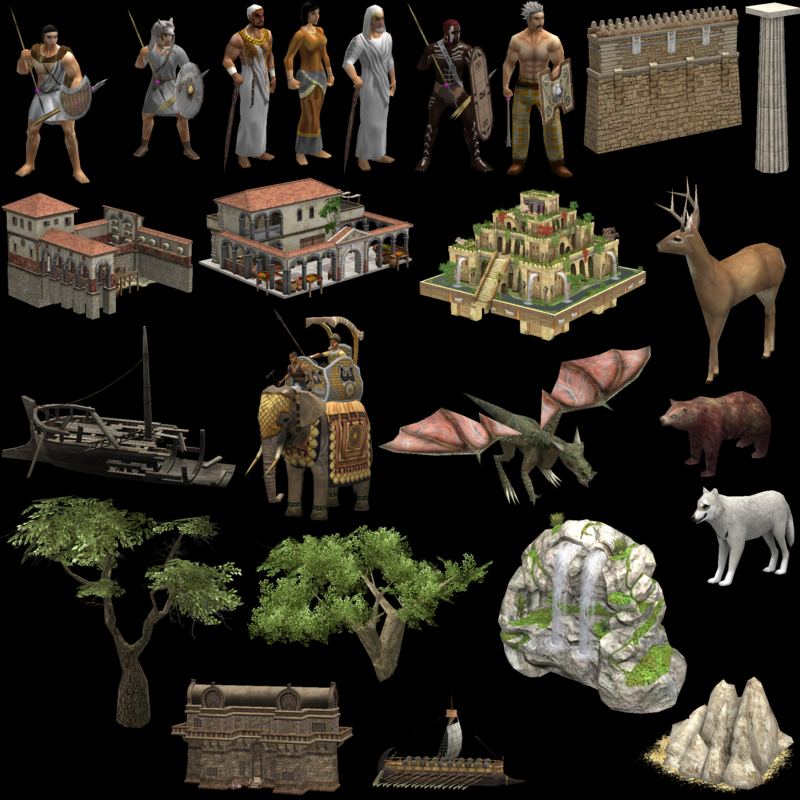 You could also use models from other libre games, such as 0 A.D. - there are tons of awesome models (kinda low poly because it's a strategy game, but probably still better quality than vanilla Morrowind). Honestly.. I would love to 0AD... OpenMW edition. Using their assets to build worlds. For all statics, you can convert these to osgt or osgb, but for animated assets... you'll have to somehow convert them into NIF (with KFs). looks like we can convert between havok animations (used in Skyrim and beyond) and NIF KFs. This could prove useful until OpenMW supports havok animations natively. For super-low-poly stuff like some of the meshes here, normal Catmull-Clark subdivision might make things look worse. As they are, every vertex is in a specifically chosen position to contribute as much information to the silhouette of an object as possible, but there's a big risk that subsurf alone will just make things look like slightly rounded blobs unless someone manually does some further sculpting. That will probably mean repainting the vertex weights, too. I'd use everything as-is unless I knew I'd have time to rework them properly.